MARINA, THE fine debut novel by Galway writer Aoibheann McCann which is published by Wordsonthestreet, will be launched in the Town Hall Theatre by the actor Little John Nee, on Thursday April 19 at 6pm. The novel follows the narrator, Marina, from infancy through a troubled childhood, and the forging of a lifelong friendship with someone as lost as herself. The story of the heroine’s inner struggles, her musical talent, her escape to London, her offbeat boyfriend, and eventual return to Ireland builds to a shocking crescendo. 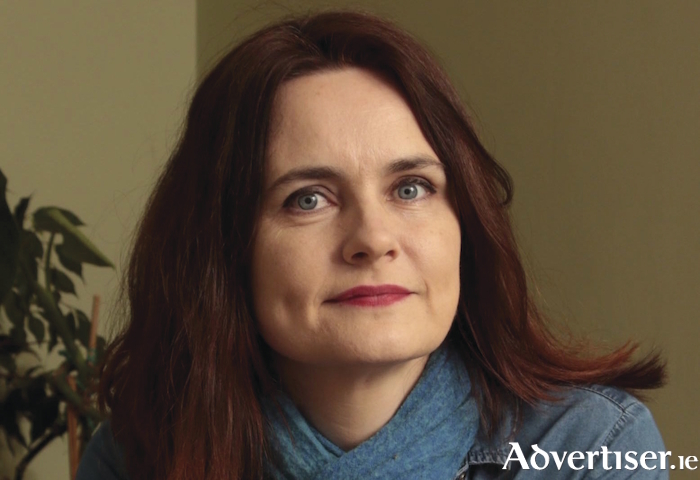 Originally from Donegal, Aoibheann has long lived in Galway where she writes fiction, non-fiction, and poetry. Her work has been published in various literary journals, been anthologised by Pankhurst Press, New Binary Press, and Arlen House, and has recently been translated into Italian. The sea is a major motif in Marina and, it turns out, in Aoibheann’s life. “The sea is huge for me," she says. "My father’s family have been mariners for generations. I grew up surrounded by the sea and had loads of relatives who were in the merchant navy, or worked as bar pilots. It’s very much part of the family. A lot of my relatives died at sea so it also has a terrifying element. From a young age I’d have been brought out in boats fishing and we’d have been down on the beach all the time. The character of Marina is also ‘at sea’ in the sense of being lost in the eddies and tides of life and relationships; “She is very lost,” Aoibheann agrees. “From a very young age she says she is self aware, but the novel starts in the present with her looking back on the past and she is an unreliable narrator, so we’re taking in her of view things but through what she says. The only voice who counters her is that of Dr O’Hara who challenges what she sees. There is a strong environmental theme in the novel as well and Marina is someone who is questioning what we call civilisation. The trope of the young Irish woman learning about life in London links Marina to works by writers like Edna O’Brien and Eimear McBride, though Aoibheann’s use of the theme comes more from her own experience. “I moved to London at 18 the day after doing my Leaving Cert where I got a job in a bar. It was such a counterpoint to where I am from," she says. Novelist Mike McCormack has praised Marina as "knowing and mysterious, funny and heartbreaking", and Aoibheann reveals that he also acted as mentor to her during the writing process: “After doing first draft in 2004 I left it for about 10 years and then I got a mentorship via The Stinging Fly and my mentor was Mike McCormack. That process was about bringing the novel to a final draft and it was immensely helpful.